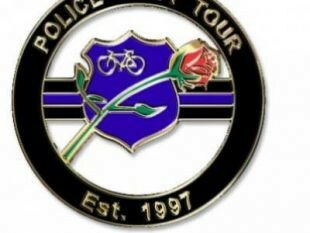 Retired Redondo Beach PD Sergeant John Wisser has long been involved in the grueling Police Unity tour and the MBPOA is proud to support him. We'll try to keep putting up John's updates here as we get them. From John:"Todays training ride was very challenging. Strong consistent winds, with gusts strong enough to push me sideways about five feet. In fact a strong gust hit me right after I took the attached photo, nearly pushing me over. The ride today was 36 miles around PV, past the Trump Golf Course, a climb up hill to the radar domes, and back. The first half of the ride I had a 10-15 mph tail wind, and on the way back it became a headwind. Good training experience however. Four more weeks of training then we head to Somerset, New Jersey to get ready for the tour.